OKLAHOMA CITY – Official voter registration statistics released Tuesday by the Oklahoma State Election Board show the highest number of registered voters following a gubernatorial election since the board began recording voter registration statistics in 1960. This year’s count reveals 2,126,897 people registered to vote, an increase of nearly 111,000 voters from the same time last year. Republican Party voter registration continues to grow, along with the Libertarian Party and Independent voters. 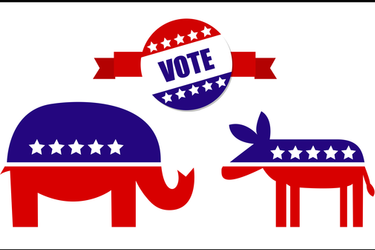 Current numbers show Republicans make up 47.4 percent of the electorate, while Democrats constitute 36.6 percent of voter registration. Libertarians consist of 0.4 percent of the voter population and registered Independents account for nearly 15.6 percent. Voter registration usually peaks following a general election, but it’s important to remember that the numbers are constantly changing. The Oklahoma State Election Board releases a comprehensive annual voter registration count each Jan. 15. Statistics from the 2019 report can be found at: https://www.ok.gov/elections/Voter_Info/Voter_Registration_Statistics/index.html.